The Finding Vegan App is here! After many months of planning, we are so happy to bring you guys this highly requested App. 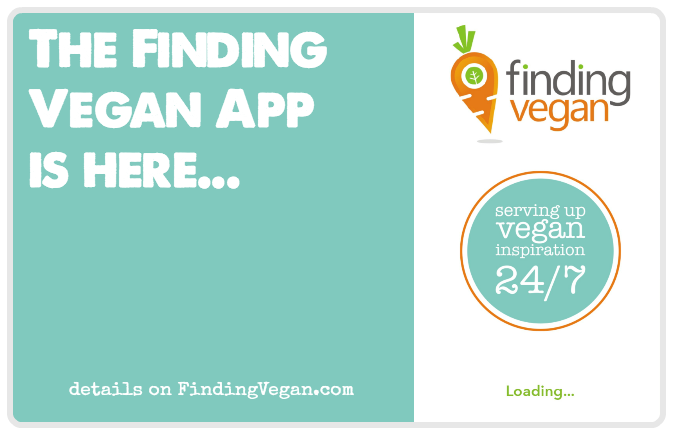 GET THE FINDING VEGAN APP NOW! * LATEST POSTS! View the latest LIVE posts to FindngVegan.com. * CURRENT FAVORITES. Login and view your saved favorites. * ADD FAVORITES. Save new favorites in App by clicking the STAR in the upper right hand corner on the post page. * SHARE. Easily share posts via email, messages, twitter, facebook and more. * GET THE RECIPE. Get recipe in the App by clicking through to website. * SEARCH. Search keywords like: ice cream, chocolate, birthday cake, lasagna, anything you can dream up, you can search for it! * CATEGORIES. Browse popular categories like: entree, dessert, salad, breakfast and more. * NO ADS! Zero ads in App. Ad-free browsing, for of all that vegan eye candy. * COMMUNITY + GRATITUDE. 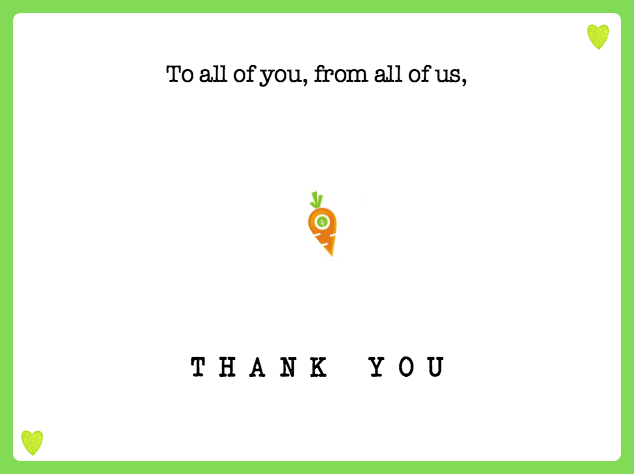 Owning this App makes you a part of the FindingVegan community, and all of here at FV thank you greatly for the support! By purchasing this App you are DIRECTLY supporting FindingVegan.com and all the passionate work we put into this site each day. THANK YOU! We GREATLY appreciate your support so that we can continue bringing delicious, creative vegan recipes from a wide variety of bloggers, to people all over the world! ANDROID. While we are rolling out the iPhone/iPad version first, the Android App is under development. We are hoping that we will be able to fund the release of an Android App if the iPhone version is a success. Thank you for your support! I cannot wait to continue the Finding Vegan journey with you! About the founder of FindingVegan, Kathy Patalsky is an author and food blogger. Her popular vegan recipe blog, HealthyHappyLife.com started in 2007. Kathy’s two cookbooks are 365 Vegan Smoothies and Healthy Happy Vegan Kitchen. Kathy lives in Los Angeles. Are you a food blogger? If you are a blogger who posts vegan recipes once in a while or 100% of the time, we want you! Register to FV and start submitting your photos and recipe links (back to your site) today! REGISTER. *VEGAN means no dairy, meat, fish, eggs or animal products of any kind. Once in a while we allow a recipe that makes one slight tweak to be vegan, when the blogger clearly states that tweak. If you find a non-vegan recipe on our site, please email contact at findingvegan dot com – and we will remove it ASAP! Positive reviews are GREATLY encouraged and appreciated for our App store ranking and so that more people can find us in the “vegan” search results in the iTunes store. * For some users, the favorites feature (in-App only) auto-ads a few recipes at the end of your favorites. This does not affect your desktop favorites. We are aware of this issue and looking into a fix, but we did not feel it was significant enough to delay App release. * If you find a bug (since this is a brand new App!) instead of leaving review of it on iTunes, please email contact AT findingvegan DOT com. Thank you!